The beginning of the exhibition industry in the breitling replica chrono avenger modern Bulgarian history was laid in 1892 when Plovdiv hosted the First Bulgarian Agricultural and Industrial Exposition. International Fair Plovdiv is the successor of the First Exposition and of its mission as well - to contribute to the prosperity of the Bulgarian people by encouraging the development of the national industry. The exhibition calendar of International Fair Plovdiv comprises multi-branch fairs and trade exhibitions covering key sectors of Bulgarian economy. International Fair Plovdiv organizes the most important trade forums countrywide, opening up prospects for the Bulgarian producers to appear on the Replica Rolex Datejust international market. The trade fair and exhibition events outline the performance of Bulgarian economy, as well as the interest of the international business in our country and region. The Fairground is one of the largest exhibition venues in Southeast Europe. It is situated on area of 352,000 sq. m. The exhibition complex consists of 17 multifunctional pavilions best equipped for the arrangement and display of all kinds of exhibits. The exhibition area amounts to 159,100 sq. m., the indoor area is 64,500 sq. 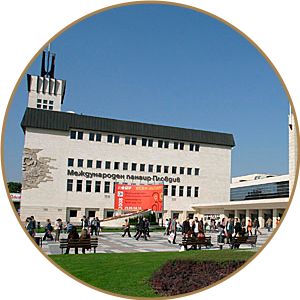 m. The modern Congress Centre of the International Fair Plovdiv comprises eight multifunctional halls with 20 to 550 seats. Another 12 halls in various pavilions are also available. International Fair Plovdiv provides its customers with appropriate conditions for business activities, identical to those offered by the most renowned European fairs. International Fair Plovdiv is the first fair organizing company in Bulgaria admitted as a member of UFI - the Global Association of the Exhibition Industry in 1936. Seven of its events have fulfilled the high criteria and Replica Breitling Bentley have been approved by UFI. These are the International Technical Fair, the International Consumer Goods and Technologies Fair, the specialized exhibitions AGRA; VINARIA; MEDICUS, DENTO, GALENIA, PrintCom and Foodtech.